Earlier this month a group of oil workers were recognized by the Azerbaijani government for outstanding contribution to the development of the oil and gas industry in Azerbaijan. Among them, BP’s Guivami Rahimli, a frequent contributor to Visions, has been awarded the Taraggi (Progress) medal by President Ilham Aliyev. Guivami Rahimli graduated with honours from the Azerbaijan State University of Languages and the Institute of Tourism Management in Moscow, Russia. He attended a course in Peace Research at the University of Oslo in Norway. 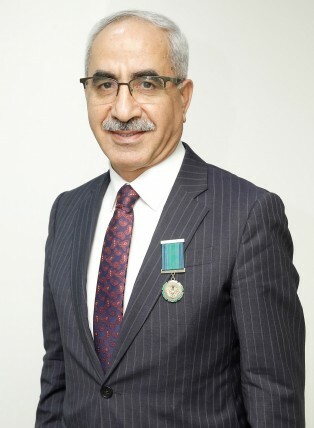 Guivami joined BP as a government relations expert in 1995 and since then has held various managerial positions in the company, currently serving as Senior Government Affairs Adviser for BP Azerbaijan-Georgia-Turkey Region. Guivami is a recognized industry professional in the field of energy issues and has extensive networks within and outside the Azerbaijan, Georgia and Turkey region. He has broad experience in subjects related to government relations, social risk management, institutional capacity building and community development. He is also a professor at the Faculty of International Relations and Economy at Baku State University and teaches classes related to energy security, international organizations, multilateral and regional diplomacy. Guivami received his PhD from Moscow State Pedagogical University and regularly writes articles on energy and foreign affairs.